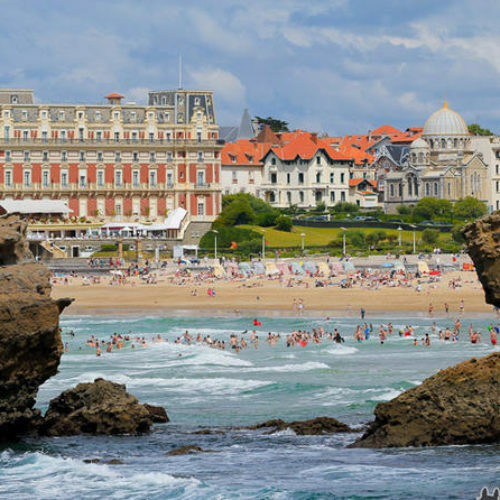 Proudly perched on the northern Atlantic coast, near the border of France, the fabled Basque Country region – locally known as Euskadi or País Vasco – has its own language, its own culinary traditions, and a distinctive geographic and cultural landscape. From fairy tale-like villages and modern architectural landmarks to world-class food and wine, there are several reasons you should add Euskadi to your travel to-do list. Basque people are believed to be descendants of the original human inhabitants of the European continent. Their culture is characterized by thoroughly unique traditions, including Euskara, the Basque language. It predates the Romans and, even more intriguingly, it bears no relation to languages spoken elsewhere in Europe. To experience the enchantment of the Basque coastline, you’ll want to take a tour with one of our local driver-guides to explore the dramatic clifftop landscape at your own pace. Take the scenic route from Bilbao to San Sebastián; this unforgettable road trip leads you through a string of traditional fishing villages with names you’ll struggle to pronounce, from tiny Elantxobe to drop-dead gorgeous Lekeitio to Getaria, hometown of the fashion designer Cristobal Balenciaga (there’s a great museum dedicated to his oeuvre.) All of the towns along this stretch feature great pintxo bars and quiet medieval streets that invite a leisurely wander. With Spanish Links Tours, you will be able to discover the most important cities and unspoiled regional parks and coastline. The treasures of the Basque country include outstanding food and wine, cutting-edge museums with striking architecture, as well as picturesque ancient towns and cathedrals. Best of all, while other visitors are struggling with the crowds on the Costa Brava, you will enjoy miles of unspoiled coastline, delicious meals, and beautifully kept cities—all contributing to a memorable vacation. 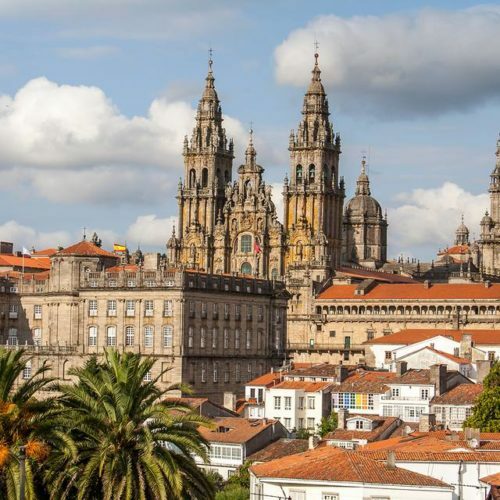 A day in Santiago de Compostela: Our local expert guides will show you the magnificent 14th century magnificent cathedral and adjacent museum, marking the end of the Pilgrimage of Saint James, undertaken by people from all over the world. You can then follow this with lunch at the former Franciscan convent, now a hotel and restaurant, known for its local “Pilgrim” menu. Or you can take a picnic to the Alameda Park which has spectacular views of the city and the cathedral. Your visit can also include a tour through the historic center, with its arcaded medieval streets and quaint squares, as well as its artisanal shopping. 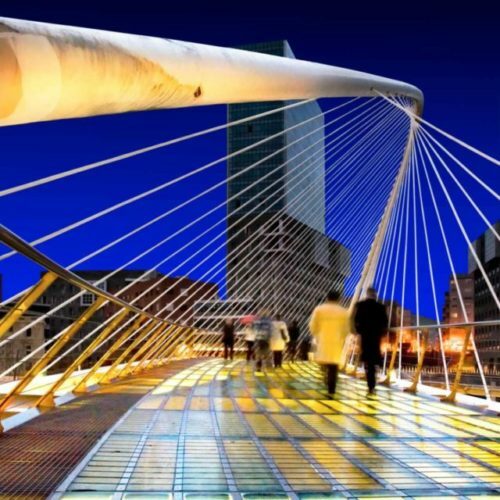 Not to be missed is the avant-garde City of Culture designed by Peter Eisenmann, one of the most talked about architectural complexes in Europe. Discover San Sebastien, the Basque Country’s Jewel: A stay in Donostia as the locals call San Sebastien, offers one of the best city beaches in Europe (La Concha), as well as elegant Belle Epoque architecture. To make the most of your sojourn, we can organize a visit to the Old Town, known for its cool designer boutiques, quaint pinxto (tapas) bars, and Michelin-star restaurants. You will also have a chance to stroll along the elegant Paseo de la Concha and admire San Sebastien’s 19th century edifices, then hike to the top of Monte Igueldo for some of the best views of the city. To better understand the history of the Basque people, we can also arrange a guided tour to the Museo de Telmo—which covers the region’s prehistory to the present day. 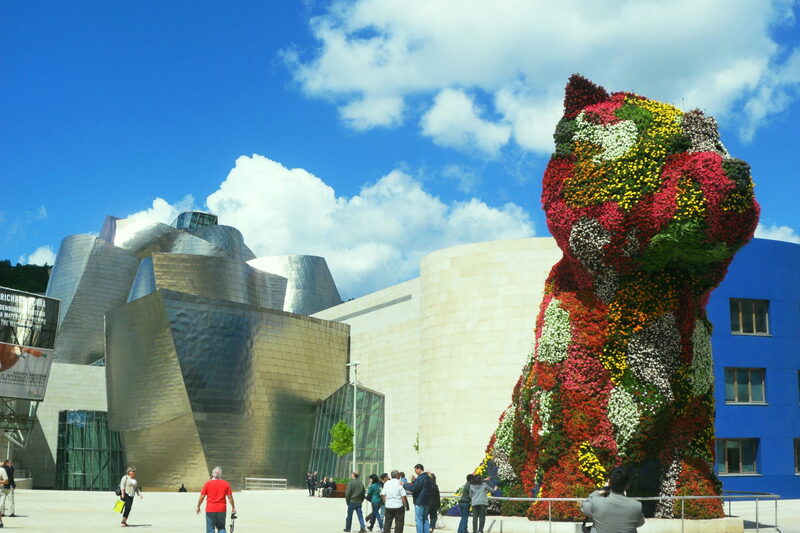 Bilbao, Mecca for Art and Gastronomy: Our team of expert guides will show you that Bilbao is much more than Frank Gehry’s Guggenheim Museum. Also not to be missed is the Mueso de Bellas Artes (museobilbao.com), which boasts a wonderful art collection of more than 7,000 works, ranging from the 12th century to the modern day. Spanish Links Tours also arranges for you to visit Bilbao’s Casco Viejo, the oldest part of the city, first laid out at the end of the 14th century. Moreover, you’ll enjoy exploring the renovated Siete Calles (Seven Streets) are ideal for strolling and browsing shops selling tinned fish, classical haberdashers, cute boutiques and tempting bakeries. Our guides will also show you the Nervión river’s cleaned-up promenades, and take you across the sail-like Zubizuri Bridge, an outing that is further enhanced with a river cruise. The more adventurous may prefer a kayak or even a stand-up paddleboard for a duck’s-eye view of city – including a paddle adventure at night. Nor is that all. Once an old wine warehouse, the Azkuna Zentroa has been totally transformed into a creative cultural and leisure space by architect Philippe Starck. There’s a cinema, exhibition rooms, cafe and shops even a rooftop pool–and in which, thanks to its glass bottom–you can be seen by people walking below! 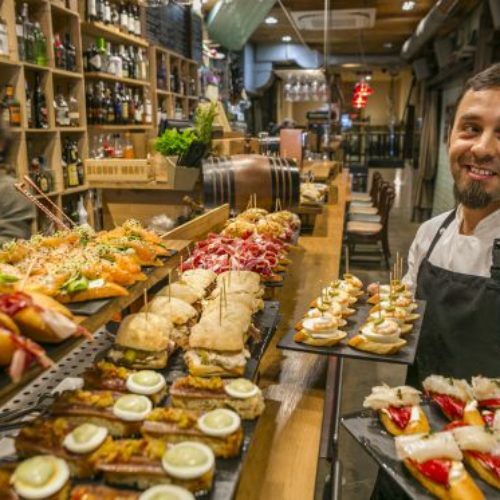 Pintxos is the Basque version of tapas – most bars will have counter-tops laden with titbits such as tortilla chunks, jamon bocadillos or bread slathered in salt cod or fried fish. The best place to sample these treats is in Plaza Neuva, packed with bars, making it easy to hop from one to the next. We’ll be sure include those with best wines and most creative bites. Foodies need to check out Bilbao’s Art Deco Mercado de la Ribera, a handsome food hall, pungent with bright fruits, fresh fish, cheeses and hams – visit early to see it at its most lively. If you come in the evening, the La Ribera bar (lariberabilbao.com), is a good place to hear live music. If you like, bar will even cook up the goodies you’ve just bought from the market stalls. Don’t Pass Up Santander: If you arrive in this seaside town by car ferry, be sure to stop and stay a while. While it may lack the elegance of Santander and the radical architecture of Bilbao, Santander has one of the most beautiful bays, a host of good fish restaurants (visit the Barrio Pesquero for best of the day’s catch), a fantastic week-long fiesta at the end of July, a great museum of prehistory, as well as a fantastic art and cultural space overlooking the sea in Centro Botin. Further afield, you can take a daytrip to see prehistoric cave paintings at Altamira or Puenta Viesgo. On fine days, you will have six beaches to choose from. Or take a picnic lunch to the Magdalena peninsula, the hub of Spanish court life in the 1920s, when King Alfonso XIII spent his summers here. In short, you won’t run out of things to see and do when you visit Santander. 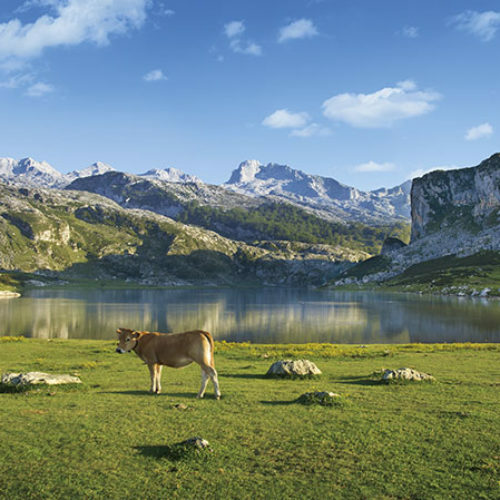 Picos de Europa for Outdoor Activities: Spanning three northern Spanish provinces—Asturias, Cantabria, and Castile and Léon—the Picos de Europa mountains and their protected surroundings form the first and oldest national park of Spain. Some of the most popular attractions that you will discover in this unique area are Covadonga—with its Holy Cave, majestic Basilica of Santa Maria la Réal, and spectacular lakes; the picturesque Cantabrian village of Potes; as well as the 12 km Cares River Route, often regarded as one of Europe’s most exceptional trails for trekking. Furthermore, the area prides itself on an excellent cuisine using the freshest local ingredients backed by centuries of tradition. Of special interest are the amazing artisanal cheeses made by skilled sheperds and matured in humid caves, such as the piquant blue and the queso de Cabrales. La Rioja’s Wine Country: No trip to northern Spain is complete without a visit to La Rioja, the country’s foremost wine region. 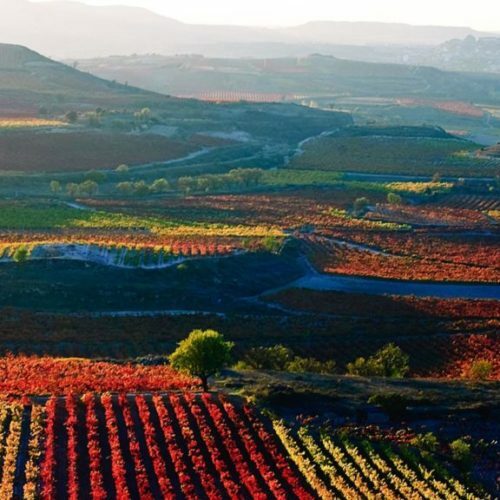 With spectacular monasteries, quaint ancient villages, and more than 500 wineries dotted around its stunning landscapes, La Rioja delivers with such ease and perfection that authentic Spanish experience that most people crave. Besides its exceptional wines and amazing variety of bodegas with state-of-the-art tasting rooms, the region offers a great many other activities. You can ski in Valdezcaray; visit the outstanding Unesco-listed monasteries of San Millan; get a true taste of rural Spain in the medieval town of Santo Domingo de la Calzada; follow in the footsteps of dinosaurs in Encisco; and indulge in regional cuisine including tapas in Logrono, Rioja’s lively capital.